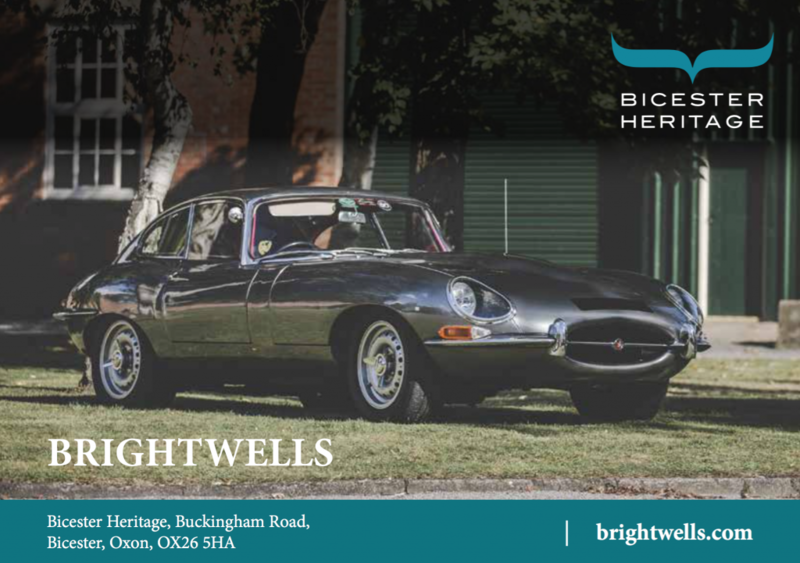 Bicester Heritage – the UK’s only business campus dedicated to the restoration, storage, maintenance and enjoyment of vintage cars, motorcycles and aeroplanes – has named Brightwells as its official auction partner. Bicester Heritage is the centre of excellence for historic motor cars and aircraft in the heart of England, with over 30 specialist businesses operating from the 348-acre Oxfordshire site. Carefully constructed as a supportive ecosystem of business, skills, and events, it provides a one stop shop for motoring enthusiasts. From vehicle storage to specialist dealers, upholsterers to vintage car radiator manufacturers and more, Bicester Heritage is the ultimate destination for all historic vehicle needs. 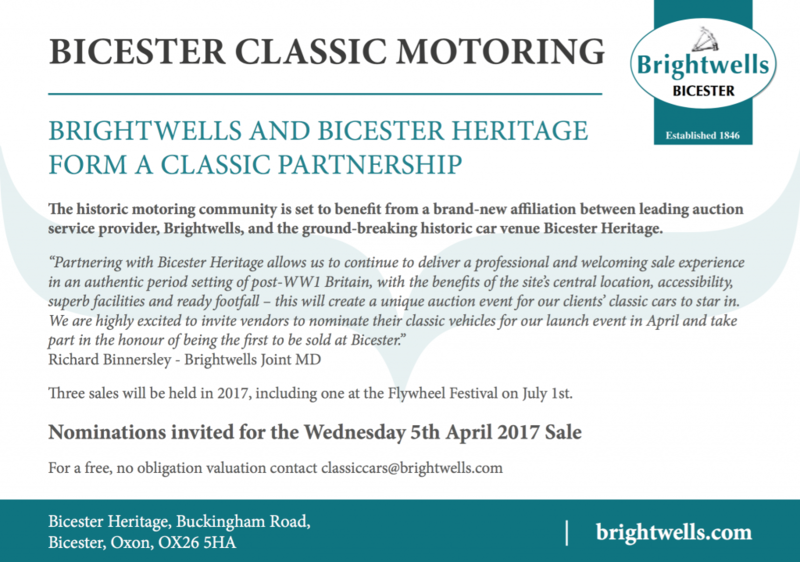 Now, by partnering with Brightwells, the facility to purchase and sell cars at auction has been added to the extensive list of on-site business. Three auctions will take place in 2017, the first on 5th April followed by the second at Flywheel Festival (24th June) and the last on 25th October. Based at a site of national historic importance (the former RAF Bicester), Bicester Heritage was formed in 2013 and promptly purchased the former WW2 airfield from the MOD. Over the past three years, the restoration and regeneration of the Grade II listed buildings and tree-lined avenues has been swift and considered, billed by Historic England as a national exemplar of constructive conservation. Now home to more than 30 specialist businesses with a collective turnover of over £20m and a high demand for commercial accommodation, Bicester Heritage is setting itself as the heartbeat of the historic motoring industry. Teaming up with an auction provider adds yet another string to the site’s bow, and Brightwells’ enthusiasm, vision and renowned history made it a perfect fit for Bicester Heritage. For further information and to visit Brightwells’ website click here. Bicester Heritage was recently crowned Industry Supporter of the Year at the 2016 International Historic Motoring Awards, and its partnership with Brightwells is further evidence of its commitment to the historic motoring world.